HTC has published the 4.27.502.7 RUU here (2.2GB download). 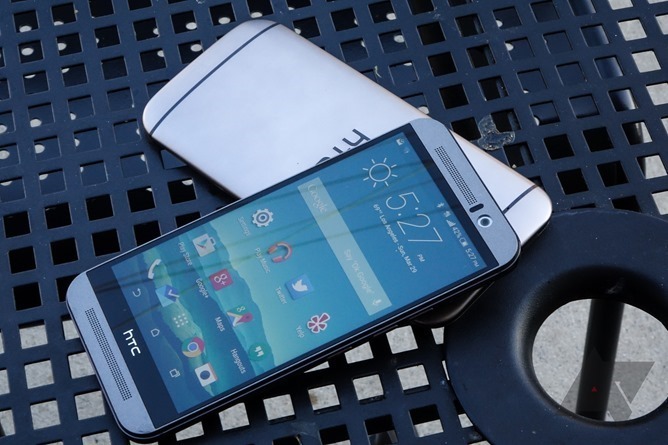 If you don't remember the phone, our review of the M9 found it to be just like the M8, but perhaps slightly more so. (That's a joke and I think it's funny.) The Sprint version of the device got Nougat just a month ago. It's not too surprising, then, that AT&T would be next up with some Nougat love. It's no small step up from Marshmallow, although unfortunately, the changelog at AT&T's site says it only includes security patches up to February, which is a bit dated. You must connect your device to Wi-Fi to download the update. Although there should be no impacts to settings or data, we recommend that you back up your media files to an SD card, a PC, or using a favorite application (from the Play Store), prior to upgrading the software. In order to receive this software update, your device must be on software version 3.38.502.41. If not, repeat the update process below until you’ve installed version 3.38.502.41, and then you can install the most recent software update. From the device home screen, swipe down from the top of the screen and tap Settings. Tap General > About phone > Software updates.